“It’s like a virtual road show," he told Publishers Daily. This campaign gives investors an early opportunity to participate in what will be one of the first Cannabis-related stocks on the Nasdaq, and allows dedicated readers to own common stock in High Times' business. So far, the campaign has received “a great response," Levin said, with checks coming in from $11 to $100,000, mostly from individuals. Investors can also buy the stock using their credit cards. Shares are available for purchase at hightimes.com/invest. Levin said he is curious to see how High Times' engagement rates may be affected by consumers who are also shareholders. “Fast forward to next year: How does [an IPO] impact engagement of shareholders? Will they engage much closer? And how does that impact a media business?” he wondered. High Times' ad sales process previously "lacked structure," Levin said, and relied primarily on endemic ads. The brand is now reaching non-endemic advertisers: Chrysler recently took out ads on High Times, Levin said, a sign that clients are recognizing the publication as a “brand-safe environment." In addition, High Times closed two acquisitions this year. It bought Green Rush Daily in April. 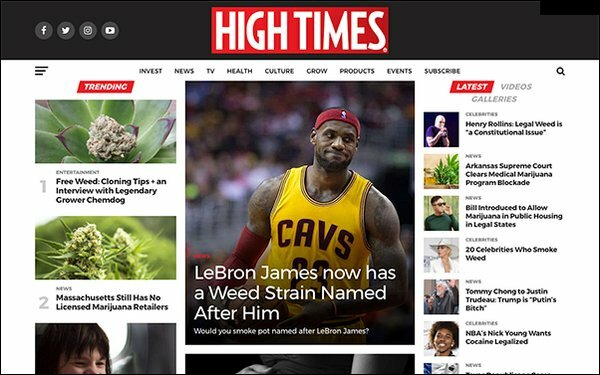 High Times has also acquired Culture magazine from Southland Publishing, Inc. The publication features cannabis-related celebrities, advocates, entrepreneurs and product reviews. “We’re building a broad collection of different cannabis-related publications to offer to our many advertisers seeking the highly sought demographic of canna-users," Levin stated. Culture offers local reach into more than 10 different localities (across the US, Canada and the UK), which will be expanded to High Times Media's advertisers.